1) Look at each meal as if you’re creating a quick work of art. 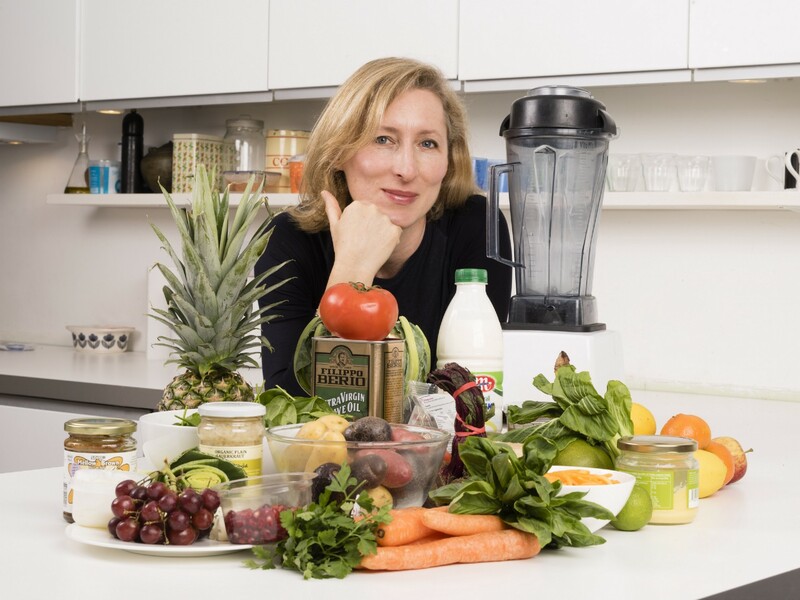 Jeannette Hyde, Nutritional Therapist (BSc) + Author of The Gut Makeover - 4 Weeks to Nourish your Gut, Revolutionise your Health + Lose Weight. 1) Look at each meal as if you’re creating a quick work of art. Try to avoid a monotone color plate of food. It doesn’t matter what you are eating, ask yourself where are the bright colors? It might mean snipping up some fresh herbs and scattering them on your dinner, grating a carrot on top of a few salad leaves, throwing a handful of defrosted berries onto breakfast, or some pomegranate seeds onto some roast vegetables, or chopping up some cooked beets. However beige the rest of the dish is looking — pep it up with some quick color. 2) Make side dishes a must. Side dishes are a brilliant way to get another portion of vegetables into you and widen your range. Seek out the side dish list on menus and try to include in your order vegetables you might not cook at home or haven’t had in a long time. The more you can widen your range of vegetables, the more diverse your gut bacteria will become — from the Portobello mushrooms, to the okra, to the chopped salad. 4) Live like a Mediterranean and start having a starter with your main meal each day. A bowl of grocery store bag of leaves — from lamb’s lettuce to rucola with some EVOO and a drizzle of lemon juice and a little sea salt and fresh ground pepper. Or a sliced tomato sprinkled in a little sea salt to bring out the flavour with EVOO and a little balsamic vinegar drizzled on top. Maybe half an avocado sliced with a little walnut oil and a sprinkle of dried chilli flakes, or just half a ripe melon with a piece of prosciutto ham draped over the top. Starters are a great opportunity to get another portion of plant material into your gut each day. Vegetable soups from mushrooms, to tomatoes, to carrot and coriander are other options — and even a grocery store bought fresh soup will do the job if you are too busy to make your own. 5) Try to get two vegetables/fruit portions into you at breakfast so you’ve given some good food to your gut bacteria however little fiber and plant colour present themselves the rest of the day. This means mixing some spinach leaves into your eggs, or cutting up an orange with all the pith and fiber on the side. Try to avoid juicing oranges or other fruit as the fiber (the best bit for your gut) goes in the trash, rather than feeding your microbiome. Another quick option is to throw a cup of fermented milk kefir into a blender with a cup of blue berries and half a banana, and a tablespoon of flax seeds. This is a mega meal for your bacteria before you’ve even left the house. The kefir plants friendly probiotic bacteria into your gut. The blueberries are rich in polyphenols plant chemicals which are a great food for your bacteria. The banana contains inulin, a prebiotic fiber bacteria particularly like. When your gut bacteria eat eat flax seeds, they produce a fuel needed to build a healthy gut lining. Flax seeds also help you produce a daily healthy stool. A well-formed daily stool is really important to avoid headaches, tiredness, and hormonal imbalances. 6) Keep an apple (they stay fresh a long time), or jar of olives in your bag/desk draw/car, to eat alongside in an emergency. Some airports and offices can be real food deserts with nothing but beige sandwiches containing only traces of any sign of colour (eg the soggy lettuce leaf).